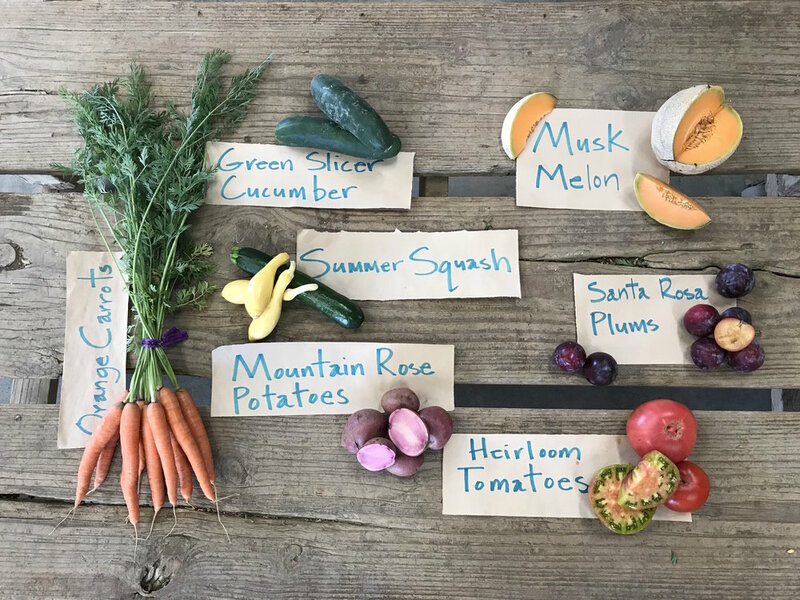 Box Notes: This box shows why we love this warm October weather, which is giving us the exciting fall greens and squash, while still ripening up some fantastically flavorful tomatoes and eggplants. Escarole, a green from the chicory family (like endive and radicchio), is a favorite for cooking in a soup or sauté. The acorn squash has an excellent flavor and the seeds too are great to roast after they’re freed from the tissue connecting it to the flesh of the squash. Field Notes: Thanks to everyone who came out for our Pumpkin Party. We had a great turnout and had to split the farm tour in two, a larger group of parents & kids and smaller group who went on a more detailed tour discussing our soil management and why the breeds of pigs on our farm are well suited to being raised on pasture. Both groups got to feed some pumpkins to the pigs. It was a beautiful day, warm enough day for a few visitors to jump in the creek. Holiday Hams are now available! The hams are from pastured hogs raised on a certified organic diet of pasture, produce culls from the farm, Cowgirl Creamery whey, Three Twins ice cream and grain. The hams are $11 per lb. They range in size from 6-12 lbs. The animals are certified organic but once processed, the meat is not certified organic because the smokehouse in Ft. Bragg is not yet a certified organic facility. Please contact Christian at csa@riverdogfarm.com to place your order. We have a limited supply so please reserve your order early.